Hey everyone, hope you're well! Happy Friday! I know a few people were looking forward to this post, so here it is. Most of you who follow me on Twitter will know that last Friday I went to Northern Ireland. The main reason was because my friend whom I met at university was having a christening for her little baby boy so I went along to that - but me and my partner thought we'd make it a mini holiday and go for a few extra days. We've both been before but I went to see a friend in Enniskillen and my partner went for work so we hadn't really explored or did any touristy things before! We didn't fly until 8.50pm so I ended up packing on the day, we went for 4 nights so we didn't need much, enough clothes to last us, and general toiletries was all. It's always a lot easier and quicker at airports if you only have hand luggage. The plane ended up being delayed by 10 minutes so we landed nearing 10pm at Belfast International. We then got transport to our first hotel - Etap. As we were just staying for one night we found the cheapest one we could, sadly, it was right next to a bar and as it was a Friday night lets just say it wasn't the best nights sleep we've ever had. We knew this day was going to be tiring so the lack of sleep was a little annoying but the buzz of the day kept us awake, it was bloody amazing! If you're someone who loves Game of Thrones I would recommend this tour, we booked it before we went to Belfast as we didn't want to do it there and then and realise it was then fully booked! We walked to the meeting point and met up with our tour guide Robbie who can I just say, an amazing tour guide, so enthusiastic, he certainly loves Game of Thrones. It turned out he was an extra on the show, he died 7 times (if I remember correctly), so he got the chance of wearing the different outfits and coming back to life as different people - pretty cool! As the coach set off we first went past the studio set in Belfast, you can't go in, but as you drive past you can see a bit of the Winterfell castle set and a huge green screen. Obviously, there was a massive indoor studio too where a lot of the other sets were built when filming. When we were on the coach we did get to watch some clips of behind the scenes of them filming it, and let's just say the sets got pretty busy! I also learnt how much detail they go into, so Robbie who played a few extra's on the show was telling us that they put dirt in his finger nails (because obviously, being in battles you're going to have dirty finger nails) but there's no way you would have been able to see any fingernails on screen - but that's how much they need everything to be perfect! If you look carefully you can see the top of the Winterfell set and the massive green screen! We then got onto a ferry only for about 7 minutes (they just wanted to give us the experience of crossing The Narrow Sea!) 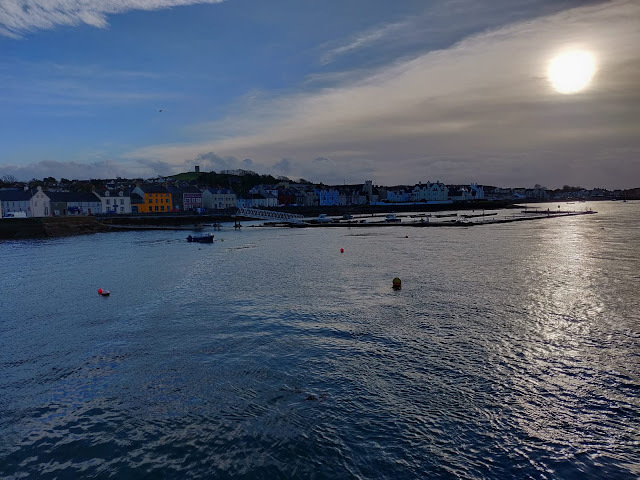 It was from Portaferry to Strangford, which was the way to Winterfell. Show image taken from here. The building next to the tower on the right was used for the introduction to Tyrion. Only the outside of the building, when Jamie Lannister walks into it, it is then edited as the interior was filmed back at the studio. If you've watched it you'll know that Tyrion is seen in the brothel. 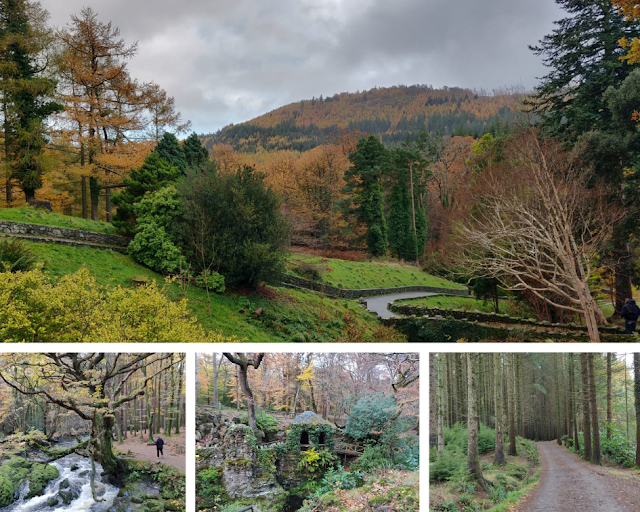 The walk to the next location was very pretty, Robbie was saying that Autumn was such a good time to do the tour because the forests look stunning. 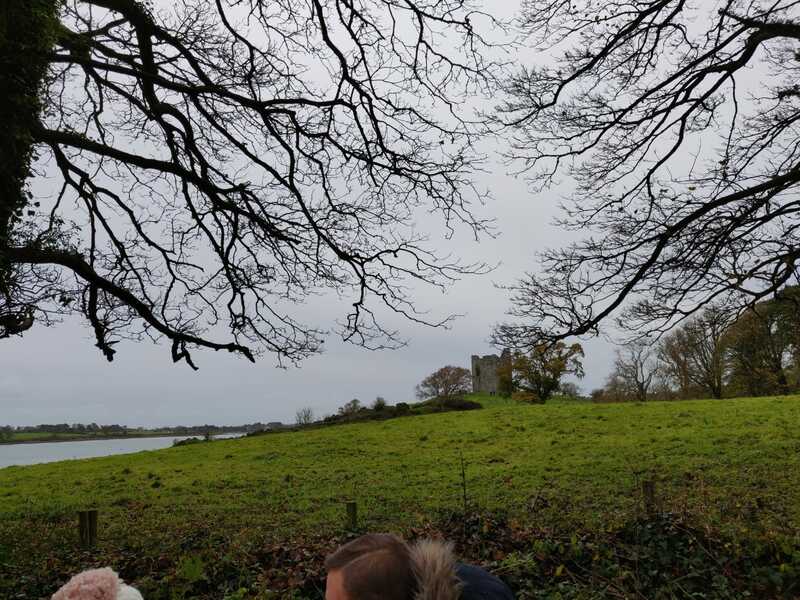 Another big location was another castle - also known as one of the Walder Frey's twins castle, and it was then used again for outside Robb Stark's camp. Other iconic scenes was when Tyrion and Bronn were ambushed by the Stone Crows of the Vale. It's quite exciting to know that the bit of path you're walking down has been on the show! 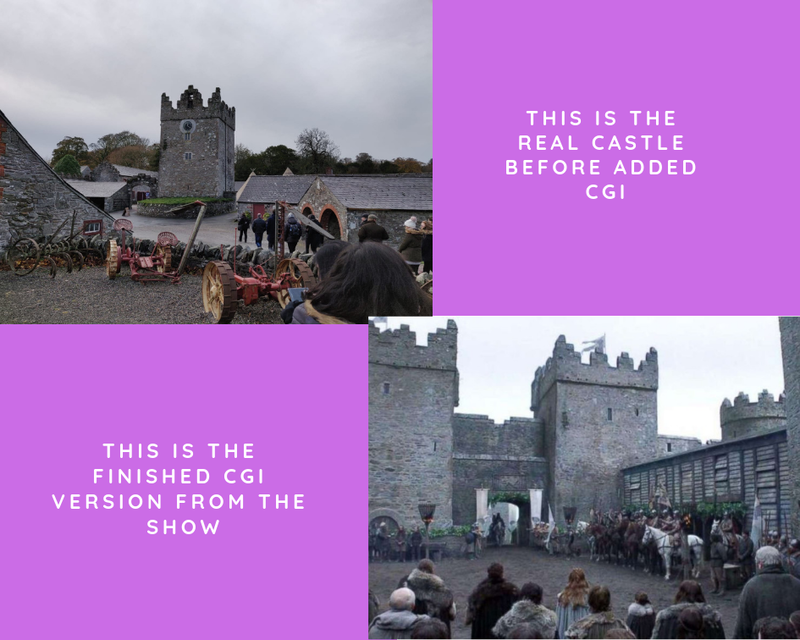 Here's a distant shot of castle that was used for two different locations - They'd change it slightly by changing the colour and the size of the bricks so it didn't look like the same place! We then stopped for lunch which is when we got to meet the cutest cast members! The beautiful Summer and Grey Wind, two of the Direwolves. Their real names are Odin and Thor, look how absolutely adorable they are though! 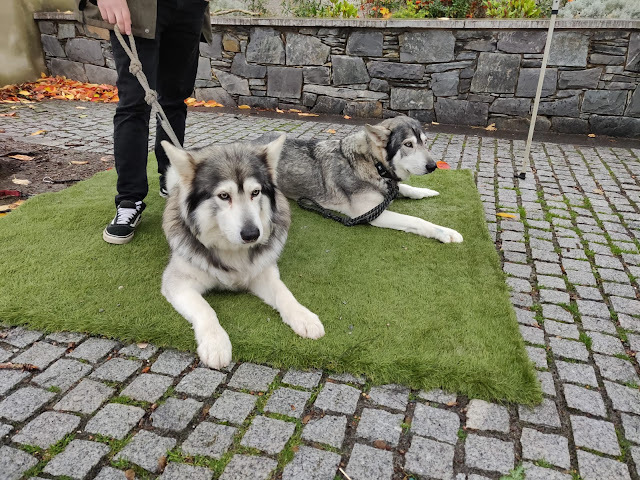 The guy who owns them had said that he got asked if his dogs would be on a TV show (not really knowing how big the show would get) so he said yes and they actually took them away for a little bit and when he got them back after filming had finished they were fully trained. When he bought them as puppies they cost a few hundred, and now each dog is worth a million. Wow. After this we had a little photo opportunity at some ruins of 12th Century Cistercian Abbey - which is where Catelyn and Robb here terrible news from Kings Landing. (no spoilers but I'm sure if you've seen it, you can guess.) So on the coach there were loads of swords, cloaks, flags etc. There were some pretty cool swords, Arya's Needle, Jon Snow's sword, and Joffrey's sword to name a few. On the way back we also got to watch the first episode in season 1, so it was pretty cool seeing some of the clips on screen and knowing we had just been there! Overall, the tour was amazing, and I learnt so much - I haven't wrote about every little details but I would love to go back and do another one of their tours! After returning around 5.30pm, we had a burrito at Boojum - if you're ever in Belfast I'd most definitely recommend, and then we had a little drive to Magherafelt where my friend's parents live, so we stayed there for the Christening the next day! It was a lovely day, and it was so nice to see a few uni people again. Sunday evening we went back up to Belfast where we had another hotel booked, Jury's Inn - which is absolutely lovely by the way, if you're ever going to Belfast I'd recommend this hotel! It was quite late so we ended up just walking up the street to a restaurant called Fratelli - we had some pizza and it was delicious! The restaurant itself is so chilled, the music was fab, we were both just singing a long to it whilst we were waiting for our food. Then it was bed time! We decided to have a little bit of a lazy day Monday as we had such a busy weekend. Monday 12th November - Belfast City Centre, and the docks. We had breakfast at the hotel - a little bit pricey so we decided to only have breakfast there the one morning. We then went back to the room and chilled for a little bit, I had a some time to have a look at Twitter and do some blogging things - it was nice to just have a super long lie-in. We then walked into the city centre - which was literally just round the corner. We went to Victoria Square as there's a massive shopping centre, whilst we were there they were setting up the Christmas markets, unfortunately, we had left before they were open. We then walked towards the docks and touched the big fish - because apparently that's something you're supposed to do when you visit! We had dinner at Made In Belfast which was a lovely restaurant, I had fish and chips because we walked past a fish and chips earlier in the day and it's all I could think about, we both had a glass of wine too - because why not! 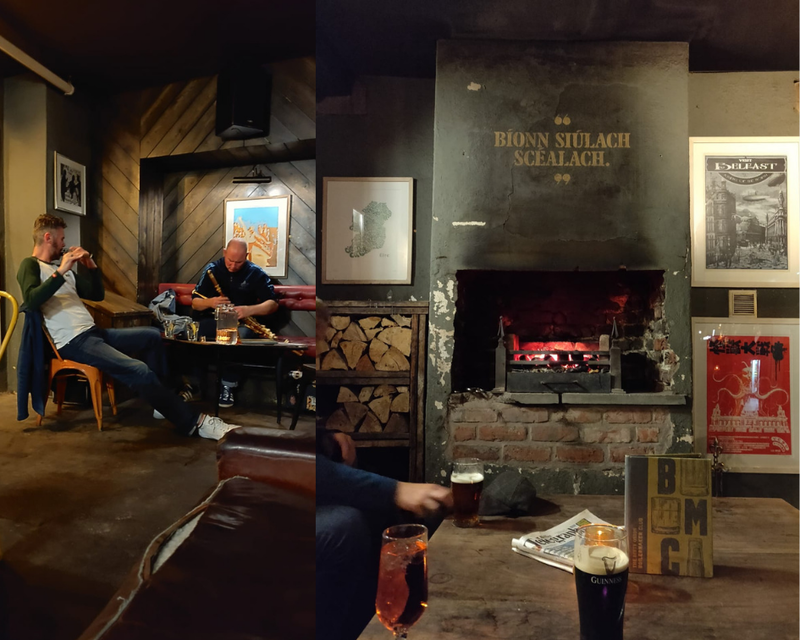 We then went to a pub where they had a few people playing traditional Irish music for the night, it was great, I absolutely loved it. We also sat by a fire which made it extra cosy. Tuesday 13th November - HMS Caroline and home time! Tuesday was the last day and our flight wasn't until 7.20pm so we had most of the day to hang around in Belfast. 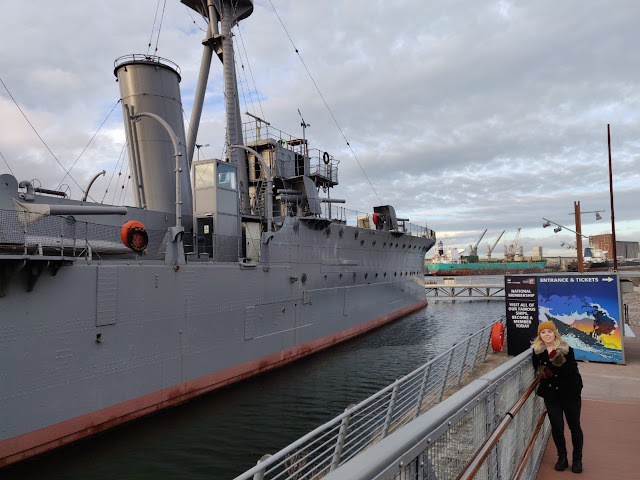 We decided to go towards the docks and have a look at the HMS Caroline. This is the sole survivor warship from the Jutland battle. 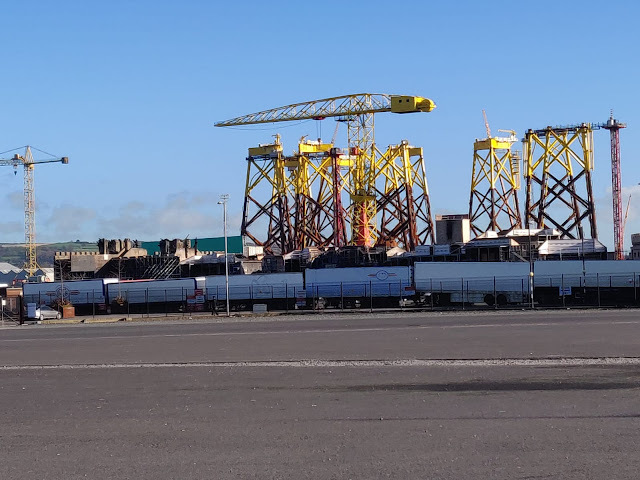 This is close to where the Game of Thrones studio is and also next to the Titanic museum. The warship is absolutely massive and there's so many rooms to see. As it was a Tuesday at parts we were the only ones on it, so that was pretty cool. We learnt about the history, about the captain and his crew, and their lovely mascots, two cats and a rabbit! Here are some pictures, but if you want to find out about it and you find yourself in Belfast I would definitely recommend this! By the way, how amazing is this picture! We then got back to the airport, and got back to Birmingham International at 8.20pm! 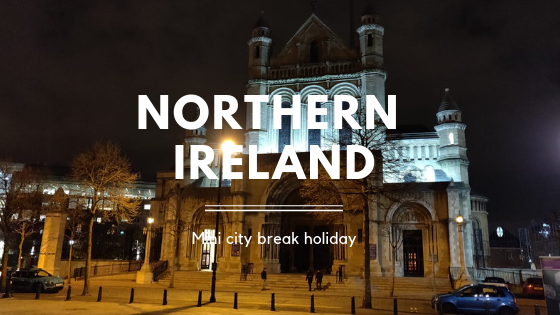 I had such a great few days in Northern Ireland, if you're a fan of city breaks I'd recommend you go check out Belfast, there's so much to do there, and we got super lucky and actually had pretty good weather. If you're thinking about going on the Game of Thrones tour, I'd definitely recommend this time of the year too! Thank you for reading, and I hope you enjoyed! 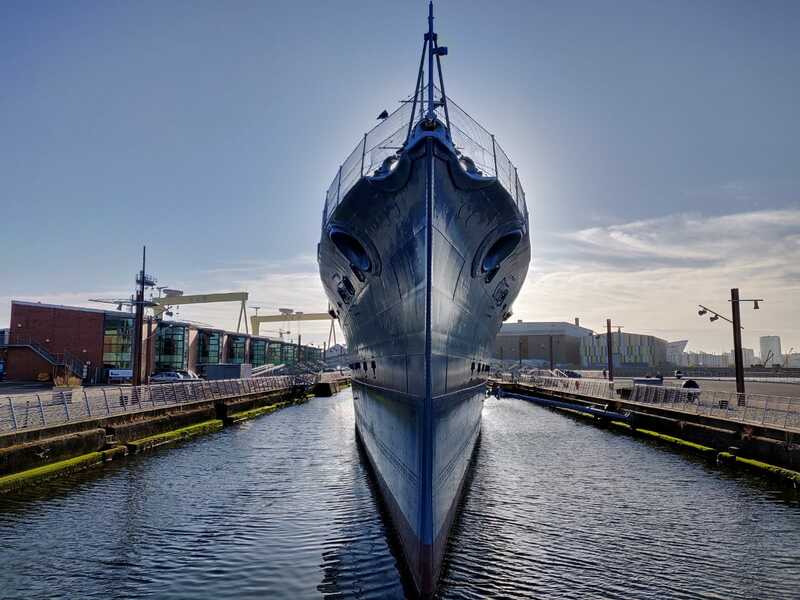 Have you been to Belfast before? Where's your favourite city break you've been on? Let me know in the comments below! I love Belfast! I kiss the fish every time I go. I love this! It's so pretty and majestic! The autumn forest is so beautiful. I didn't know that about the castle. It's crazy that they can do that with CGI. Seems like an amazing trip, lovely photos. Northern Ireland is on my travel bucket-list, hopefully next year. Woow, looks like you had an amazing time. This was such a beautiful post with pretty pictures. I've never been to Ireland before but definitely want to at some point! The Game of Thrones tour sounds really interesting but I'd be disappointed to- I think I'd give this one a miss for fear of it ruining the series for me, getting to meet the dire wolves must have been amazing though, that would definitely be a highlight for me! I LOVE this! Those pups are gorgeous! They remind me of the Huskies my family raised when I was young. Sounds like you had an amazing trip! Thank you for sharing! omg Chloe you did all that in 5 days! It looks like that trip should've been longer than the few days you went!! Isn't it amazing what CGI can do? I feel like it would be funny to watch the cast walking along and what you actually do see is the real deal and not the built up CGI �� that trail looks so beautiful and serene!! I LOVE that picture oh the HMS Caroline! 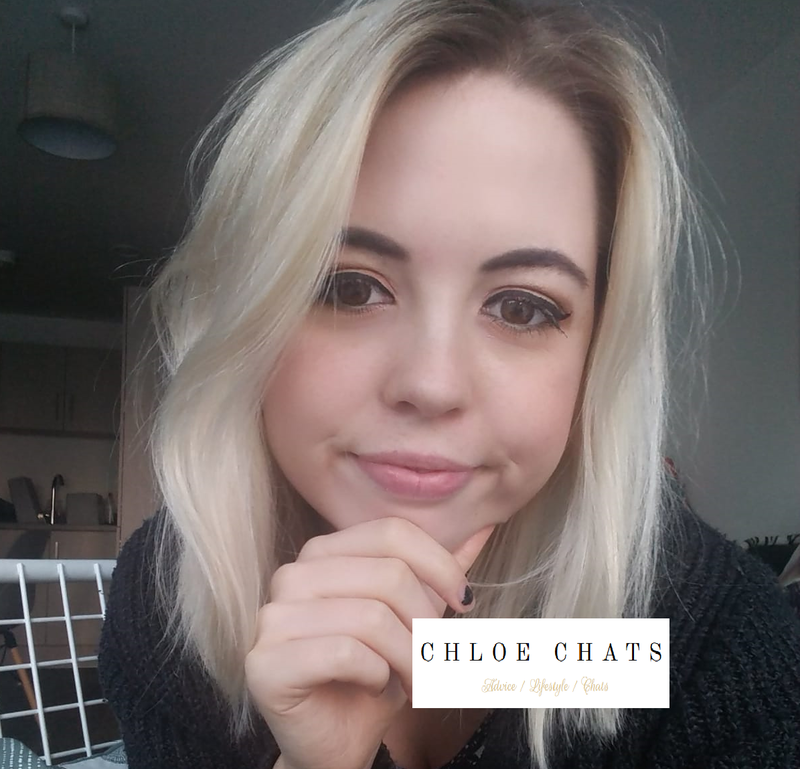 That is so sick ���� Wonderful post Chloe! That photo of HMS Caroline is beautiful! I don't watch Game of Thrones so all those references went over my head but looks like you had a lovely trip and those doggies are gorgeous! Great post! 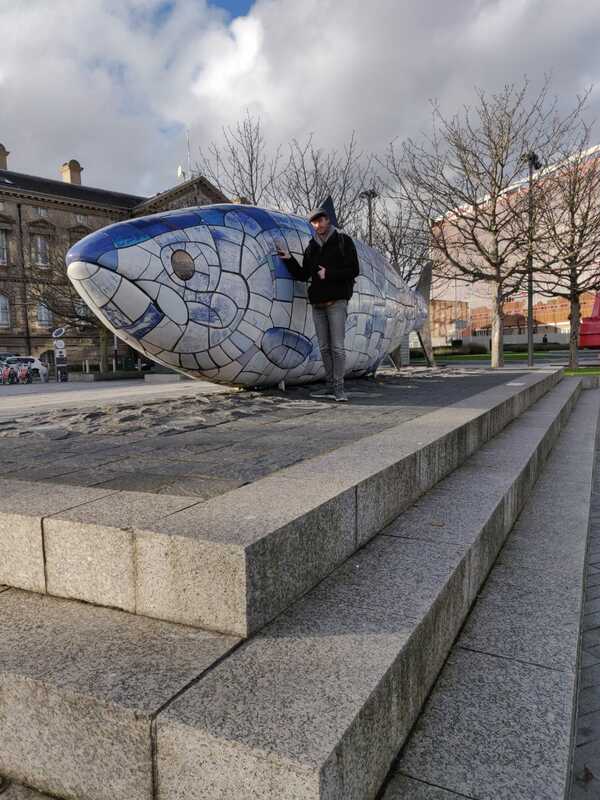 I go to Derry a lot to see my Granddad but still haven’t spent time in Belfast, might have to borrow your tips for my next Northern Ireland trip! Oh wow! What a lovely time, I've been following you on Twitter and your trip looked amazing. I've heard great things about Ireland. It's soo beautiful. I would definitely love to go! Thank-you for sharing, looks like you've had the best of times. I'm not much of a fan of Games of Thrones but it's still very cool to go around where they filmes. Looks so cold which I'm not used to, but would for sure be an unforgettable adventure visiting Ireland. Welcome back from your trip to Northern Ireland! Oh man, I know I'd be exhausted during a night trip. At least yours is 2 hours long. 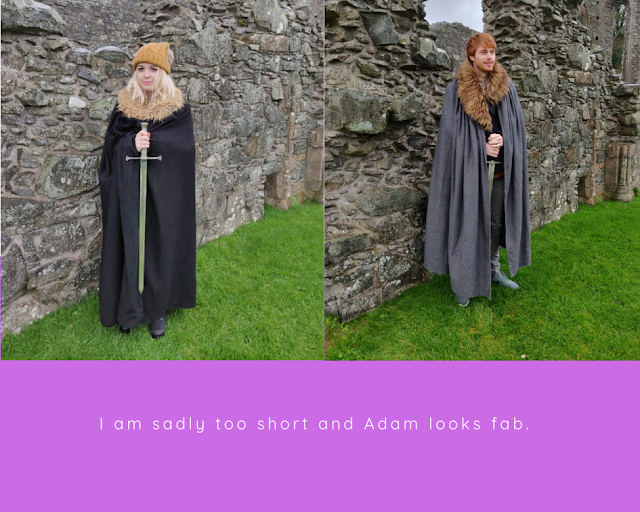 It's great that you got to go through the Game of Thrones tour! I love the views from the ferry ride. The CGI effects look crazy! 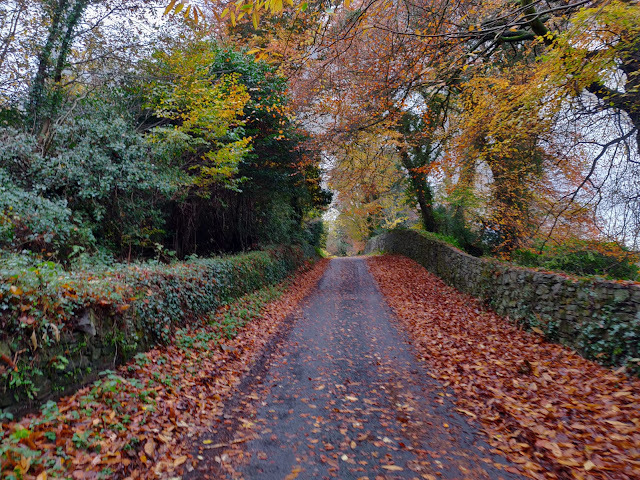 I am jealous of the road - I wish we can have autumn leaves like that too! Glad you enjoyed your time to Belfast! This looks like you had such a fab time!! I'd love to go to Northern Ireland, I went to Dublin a few years ago and it's made me want to explore so much more!! Such gorgeous photos! I've never been to Ireland but it looks really pretty. Those dogs are super cute too and that's amazing that they came back to him fully trained and are worth so much now! Wow! What an amazing trip. And I love all the photos. Thanks for sharing your experience!